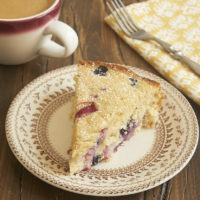 This easy Berry Muffin Cake is a perfect breakfast treat when you’re craving something other than your usual morning meal. 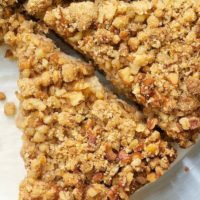 It’s great for brunch or a sweet snack, too! Are you a morning person? I am most definitely not. It takes me a while to get going every day. Because of that, our breakfasts generally consist of yogurt for me and cereal for Quinn. Not very exciting, I know, but they serve their purpose just fine. As you can imagine, I don’t get much baking done until a little later in the day. But sometimes, especially on a lazy weekend day, I want so much to be that person that gets up and bakes a nice treat for breakfast. 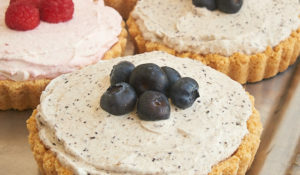 This quick and easy muffin cake is the perfect solution! While this is called a cake, it’s really just one giant muffin. 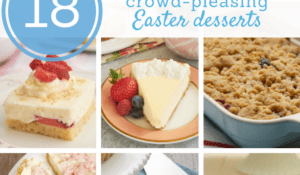 But you get to skip the step of scooping batter into a muffin pan. It’s such a lovely, no-fuss treat for a weekend breakfast or brunch. 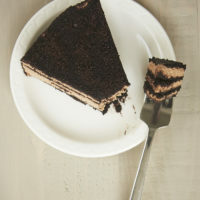 Or grab a slice and enjoy with your afternoon coffee or tea. Honestly, I’ll take it most any time of day! This big ol’ muffin is wonderfully soft and moist and really just lovely. It’s so nice and tall, too. And such a wonderful texture! It’s especially nice when it’s still a bit warm, but it’s every bit as good at room temperature. 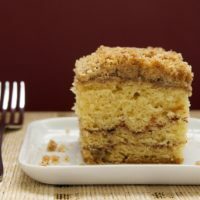 I like to sprinkle a little bit of confectioners’ sugar on top, but you can even skip that if you want to make this muffin cake as simple as can be. If you’re a berry hoarder (like I am) during berry season, then this is a great recipe for using up that random mix of berries in your kitchen. I had some blueberries, strawberries, and a few raspberries left over from other recent baking adventures. Of course, any combination of your favorites will be great. Or just stick to one berry if you prefer. Just be warned that you may find yourself making this again and again. 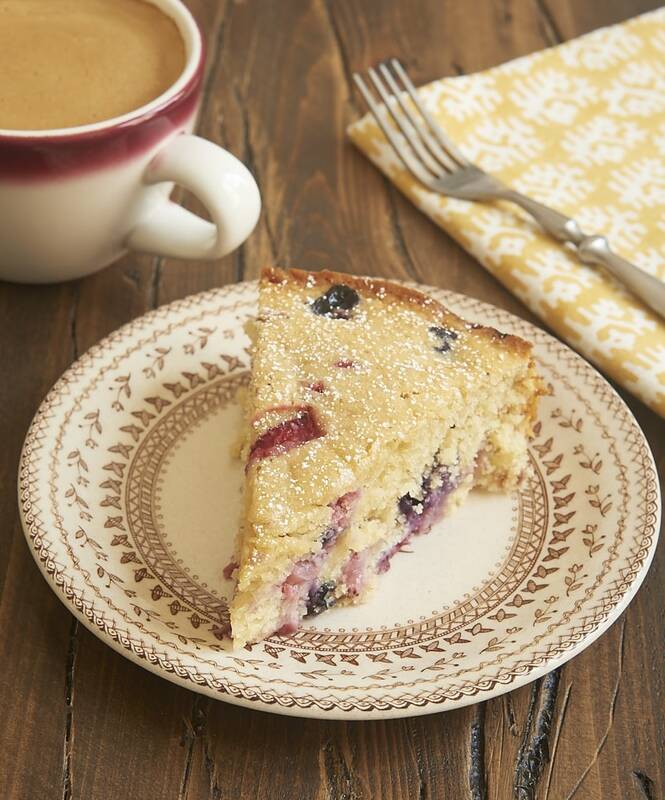 This quick and easy Berry Muffin Cake is a delightful breakfast treat! 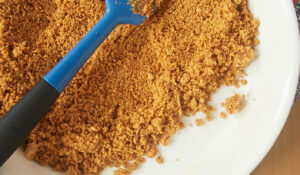 Stir together the flour, sugar, brown sugar, baking powder and salt in a large bowl. Make a well in the center of the mixture. Place the eggs in a small bowl, and beat them lightly. Add the cooled butter, milk, and vanilla, and stir to combine. Pour into the well in the dry ingredients. Stir just until combined. Gently stir in the berries. Transfer the batter to the prepared pan, and spread evenly. Bake 45 to 55 minutes, or until a pick inserted into the center comes out clean. Cool the cake for about 15 minutes. Run a thin knife around the edges of the pan, and then remove the sides of the pan. Sprinkle the top with confectioners’ sugar before serving. *If you’re using large berries like strawberries, I suggest chopping them into pieces about the size of raspberries. Recipe adapted from Fine Cooking. I like this berry muffin cake recipe, but I don’t have a spring form pan. What other pan can I use? I write down many of these recipes and love using them. Karen H.
Karen, you can likely use a deep 9-inch round cake pan. Just be sure to grease the pan generously so it will come out intact. My kids love chocolate chip muffins. 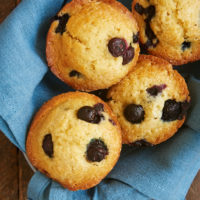 Could I substitute chocolate chips for the berries? Sure, Diane. Sounds good to me! Berry hoarders anonymous! I think we need that. 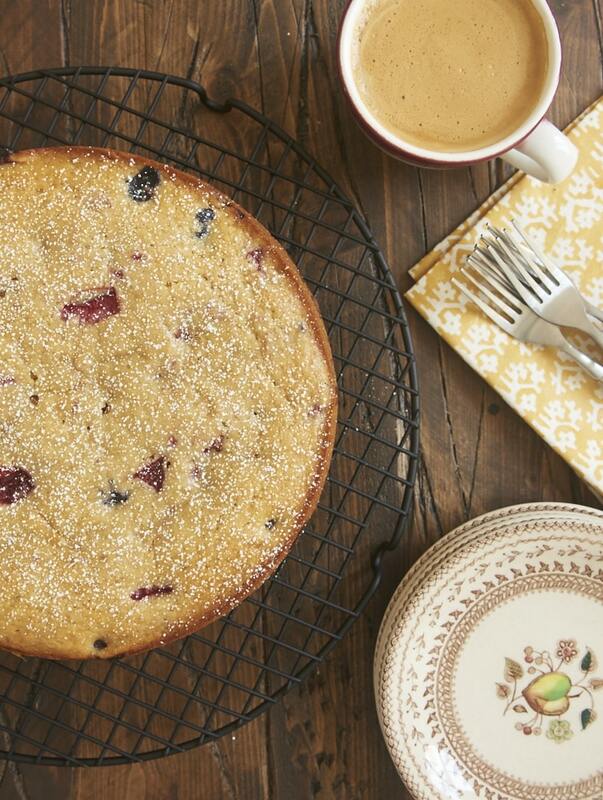 I find myself in similar berry/early morning baking predicaments, and this is just the cake I need in my life! Looks SO good. Wishing I had a slice of this for breakfast today! Talking about pans, I used a paper tube pan I get from King Arthur Flour site. I believe it is considered an 8″ paper baking tube. Portland, Oregon has an amazing berry called marionberries that is a bit like a cross between a raspberry tart and a blackberry sweet. I have canes in my yard and they are producing some amazing berries. I opted not chopping the berries as recommended and instead did the cake a bit like a coffeecake and put half of the batter in the pan, smoothed that and placed these thumb-sized berries around the pan, and then put the other half of the batter on top of those berries and then dotted the top with more of the berries. I think it baked roughly the same time as the springform but the pan keeps you from needing to remove the pan before sharing. I can give the cake in the paper baking pan and it looks as pretty as a gift and the berries kept their shape and really made the cake a pretty one. I liked that it was a muffin body with a crusty top. I haven’t heard how it tasted but if it tastes half as good as it looks–it tasted amazing. I chose to stay with the one berry due to the size and freshness but I could see it great with a mix too. Great recipe, Jennifer. Thanks!! Hi, Linda! I’ve had marionberries before, but they generally aren’t available here. I’m sure they are just lovely in this muffin cake! I love the idea of giving this as a gift. A great treat to take to your hosts if you’re a houseguest, too. You’ve already on my list, little berry muffin cake. I love how you look and sound. Just can’t resist your call. Can I use frozen berries? Also, if we were to half the recipe, how would I bake it? Same temperature just half the time? Do I still use a 9 inch springform? Hi, Kate. I’ve never made this cake with frozen berries, but they should work just fine. If you want to half the recipe, it will be too thin for a 9-inch pan. I’d either use 2 5-inch round pans or just make muffins. You shouldn’t have to adjust the temperature, but the baking time will be reduced. I’d start checking for doneness about 10 minutes shy of the suggested time. Could this be baked in a loaf pan – like a quick bread? Hi, Julie. It probably won’t be quite enough batter to fill a loaf pan (about 1/4 less than a normal bread), so it would be a smaller loaf. Otherwise, I think it would be fine. I made this cake yesterday because I had lots of just picked blueberries and we love blueberry muffins. This cake did not disappoint! My husband tasted it first and said, “This is fabulous!” The rest quickly agreed! 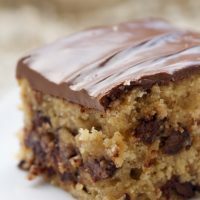 The texture and taste is like a muffin, although it was a little moister….a good thing! Loved that it used 2 cups of berries; great berry taste in every bite. This is equally good with morning coffee or for dessert. I generously sprinkled raw sugar over the top before baking and it made the top a little crunchy and gave a nice gloss to it. 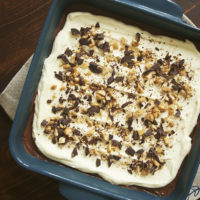 I have made a few recipes from your site; this one is my favorite! 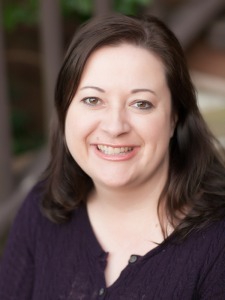 Well done, Jennifer, and thank you! I’m so glad to hear that it was a hit, Christine! Hi, Bea. I’d guess 10-12 minutes.